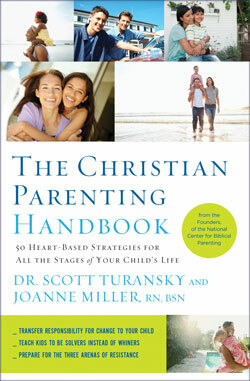 I just finished reading The Christian Parenting Handbook by Dr. Scott Turansky and Joanne Miller and it is definitely one of my new all-time favorites. This book is based on the concept of addressing the heart rather than just trying to control behavior. 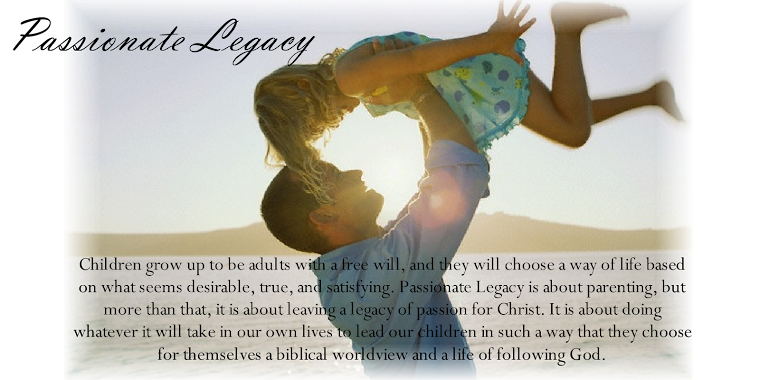 It helps the reader to develop a comprehensive, biblical parenting philosophy where the goal is to raise children with internal motivation that reflects moral character and godly values, not just "behavior modification". This means developing a heart that is motivated to do the right thing because it is right, rather than to receive a reward or avoid punishment. To accomplish this, it requires creative strategies such as one-on-one discipleship, providing opportunities to practice positive character qualities, and exposing children to those who are less fortunate. A heart-based approach aspires to see long lasting change take place, rather than just getting things done today. This approach is both firm and relational. The focus is on developing and addressing character qualities, values and convictions. Some components are relationship building, natural consequences, sharing values and reasons behind the rules, using sorrow instead of anger, using Scripture in training, and limiting the use of rewards for good behavior. This book not only does an excellent job building a biblical basis for parenting, but outlines very specific strategies and tools that can be applied right away, and gives many examples to help illustrate the parenting skills being discussed. I highly recommend this book. Click HERE for the Amazon page where you can read more reviews. Note: we do NOT receive any money for this review or link.